Still cleaning out that pantry. I swear it has a false back door into another dimension that lets evil kitchen dwarfs in to restock it every night. We tend to eat pretty light on the weekends and eat one big meal. As The Hubs was grilling away a chunk of beef this weekend, I decided to whip up some sort of dip for us to snack on. 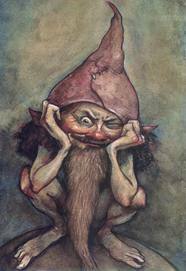 Opening up the pantry, I noticed that said dwarfs had smuggled in one can of Great Northern beans and a partial package of dried tomatoes. “Verrrry interesting,” to quote Arte Johnson. I threw these ingredients (along with a few others) in the food processor and Voila! A new dip was born. A quick and easy dip. Place beans, garlic, tomatoes and vinegar in a food processor and puree. (Whir it up until it is a hummus-like consistency.) Taste and add salt and pepper if needed. Place in serving bowl and drizzle with good olive oil. Garnish with fresh herbs. This is pretty darn good with simple Wheat Thins (also smuggled in by evil dwarfsters), but I am imagining it in a wrap with some basil and/or some fresh sprouts. This is really a pretty color too. Well, it disappeared pretty quick. I think the dwarfs did get to it! Yum! I love all kinds of hummuses and bean dips. I like the wrap idea. How funny … I just made a bean dip, too, that I will be blogging about soon. Never tried Great Northern Beans, though! I can’t wait to see your recipe. The dwarves did gooooood because this looks divine!!! Also, always feel free to post any recipes that you gained inspiration from from my site. You needn’t even ask! Glad you liked the noodles. Aren’t they divine??? I can’t wait to see how spicy you went! Thanks! It will post Sunday. I only went as spicy as you did. I had to use Somen noodles because that is all the dwarfs stocked! 🙂 I added some fresh pulled radishes from our garden, too. Really, this is my new favorite salad. Thank you, thank you, thank you! 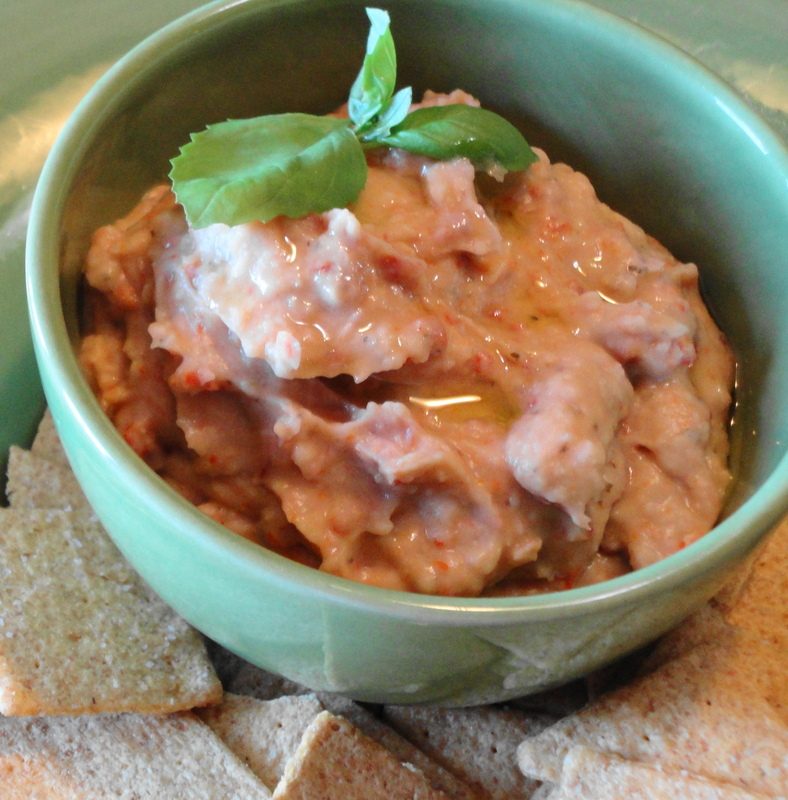 Sun dried tomatoes…what a perfect addition to the bean dip. I think those dwarfs come to my house too. Glad I ran across those dried tomatoes in the pantry (thanks to the dwarfs). They really made the dip. Loved your hummus post for Holiday Recipe Club. I’ve never made bean dip with northern beans. Great idea…I could dip some crackers into that thick dip. Hungry before dinner, I am. I totally love white bean dip…an Italian restaurant we go to sometimes serves a white bean hummus with toasted bread while you look at your menu. It has basil in it, but I’m thinking sun dried tomatoes is pretty genius! I am putting basil in it next time (as opposed to just a garnish). Thanks for that idea. Looks like a great tasting dip. I’ll need to look up those beans. I’ve never heard of them before. I think they are very similar to cannellini beans. If not, cannellinis would be a great substitute. My pantry is the same way, and I am perpetually finding new things cropping up in it. 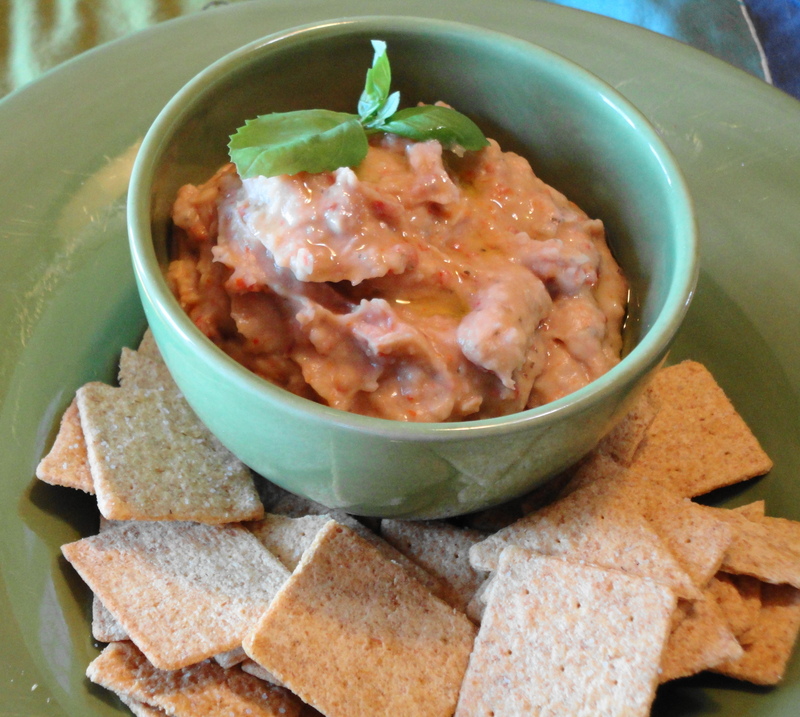 This dip looks delicious–I love bean dips with crudites or tortilla chips. My goal is to post a perfect after pantry pic soon. I am going to try to cook my dry beans in a can of tomatoes with garlic and basil and add more garlic and cilantro till I can put in blender with a dash of hot sauce and salt and pepper! My daughter loves Humus and I don’t so I am kicking it up a notch!